Martha Schonberger holds a B.S. in Environmental Studies and Communication from Western Michigan University and a Masters in Environmental Law and Public Policy from Vermont Law School. She has over 20 years’ experience in special education in Loudoun County Public Schools, serving students with ASD and cognitive challenges from ages 5 to 22 and was Shenandoah University Teacher of the Year in 2007. Martha is currently teaching at the high school level, with a strong focus on vocational skills, work experience, and successfully integrating her students into the community. Martha's interest in Legacy Farms grew from the realization that upon exiting public schools, young adults with ASD did not have many viable opportunities for meaningful therapeutic, residential, community oriented opportunities. Finding several other like-minded teachers and parents solidified Martha's commitment for creating a sustainable farmstead in the Northern Virginia region to meet the needs of her graduating students. Susan Aitcheson, CPA, is the Accounting Manager at the Center for Innovative Technology (CIT), a non-profit organization located in Herndon, Virginia. Prior to joining CIT in 2005, she was a sole practitioner, providing public accounting services to a variety of clients, primarily non-profit organizations. Susan holds a Bachelor of Science in Business Administration degree from the University of Richmond. She is licensed as a certified public accountant in Virginia. 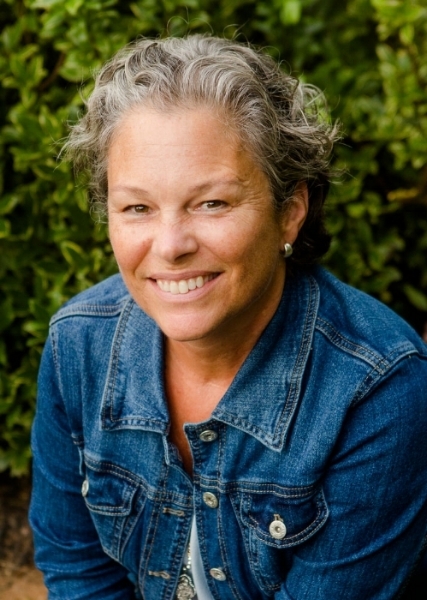 Susan joined the board and became Treasurer of Legacy Farms with the hope of using her business and accounting skills to benefit a local non-profit group. Since becoming involved with Legacy Farms, she has learned a lot about autism and the special needs community and is passionate about establishing a residential farmstead in Northern Virginia for adults with autism and other developmental challenges. Schools connect children to their communities. Jobs connect adults to their societies. Persons with autism deserve to walk the same path. Michelle Lautenschlager began working as a volunteer for Legacy Farms in 2014. She brings her passion for helping people and service to help Legacy Farms grow and serve the community. Michelle decided at the young age that she wanted to work with individuals with special needs and she has been doing that in some form or another all of her adult life. In her free time you will find Michelle either at the baseball field with her youngest son, or working as a Job Coach with her oldest son who was diagnosed with Autism at the age of 4. This is not just a volunteer opportunity for Michelle but a desire to help shape the future for her son and others in the community. Bill Lochten holds a B.S. in Business Administration from Salisbury University and a MBA from the University of Maryland University College. He is the National Vice President of Software AG Government Solutions, a company that specializes in solving complex IT problems for the federal government and its supplier communities. Bill joined the board and became its Director of Marketing in 2016. His focus is to work with both local and regional business leaders in promoting the exceptional vocational, recreational and social opportunities that Legacy Farms offers to adults with autism. Bill’s passion for sustaining and expanding the reach of Legacy Farms originated from his son’s participation in the Summer Garden Project. As the parents of Ryan, an adult with Autism, Bill and his wife Cheryl have a unique perspective of the void that often exists post-graduation for individuals like their son, and the struggle to maintain the valuable skills they obtained while in school. Legacy Farms addresses these challenges by providing meaningful experiences in a safe, inclusive environment where adults with Autism can thrive, Legacy Farms is fulfilling a critically-important need in our community. Instructor and Interim Program Director, Pui leads our Seasonal Sessions and oversees the team at the farm. Pui brings her accounting experience and is a Personal Support Attendant and ABA tutor. She hopes to serve those who wish to learn how to garden while helping Legacy Farms to reach their goals. Growing up in the US with a mother that loves to garden and a father that loves rose bushes, Pui picked up some skills and came to love gardening. However, not being born in the US, Pui has seen other plants, garden ideas, and methods from Singapore and Malaysia that she hopes to share. John is a Senior Vice President with the Motley Fool in Alexandria, Virginia. John has over twenty years of experience in consumer online services and enterprise software, including group project management, strategic business planning, and identifying, negotiating and developing strategic business partnerships. John received his Bachelor of Arts and Master of Arts from Virginia Tech, and his Doctor of Philosophy from Stanford University. Peter is an Individual with Autism and ADD (Attention Deficit Disorder), and represents the greater community of individuals with developmental disabilities on the Legacy Farms Board. Peter’s contributions include volunteering and serving as a spokesperson for Legacy Farms and individuals with developmental disabilities, speaking to groups such as legislators in the Virginia Government (including being recognized by the VA General Assembly during the 2016 Disabilities Advocacy Day), the Loudoun County Board of Supervisors, and the Ally Advocacy Center, discussing the difficulties adults with disabilities face in our area. Peter graduated from Loudoun Valley HS in 2001 and has since held 27 different jobs. In 2016, Peter joined Legacy Farms for the Spring and Summer sessions, and was placed with A Farm Less Ordinary, a local organic farm committed to hiring adults with disabilities as their employees. Peter remains employed there today (this is the longest job Peter has held to date). He also owns Detail Delux, a mobile auto detailing service.